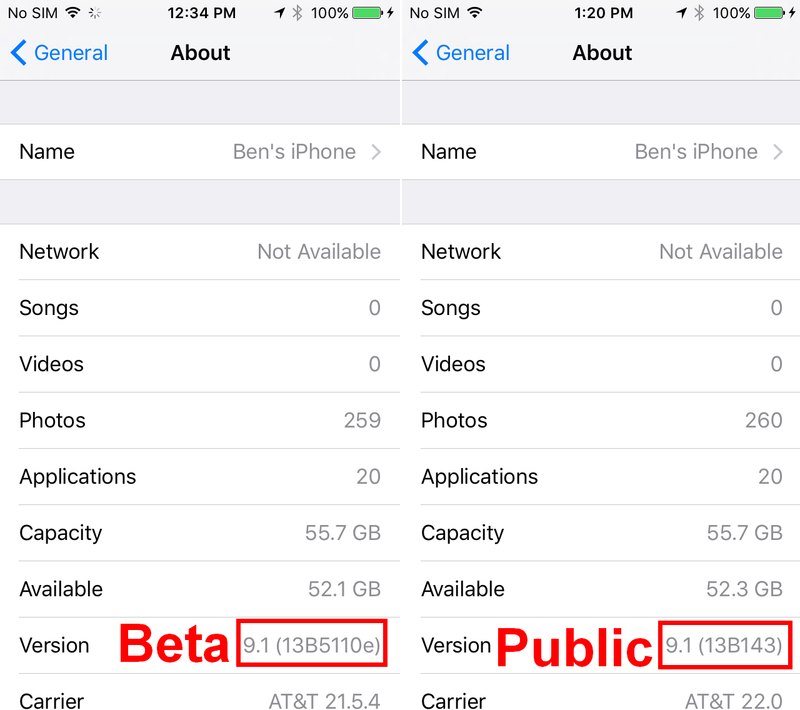 This is a continuation of iPhone 6 - Part 3.
iOS 9 has a "Back to..." button in the top left corner if you go from one app to another, e.g. Hangouts to Settings. But this is only one level and doesn't always persist if you navigate within the second app. The Moto X is 720 x 1280. The OnePlus One is 1920 x 1080. The iPhone 6 is 750 x 1334 unless Zoomed (then 640 x 1136) which is the same resolution as the iPhone 5. Zoomed gives you 1 less row of icons. Lollipop's SmartLock with Trusted Devices, Trusted Locations and On-Body Detection only requires unlocking the Android phone with a PIN a few times per day. The iPhone's Touch ID requires unlocking the iPhone with a fingerprint every time you want to use it. Further the sequence that you use, e.g. notification displayed, tap Home button, pressing thumb on Home button vs. swiping notification, pressing thumb on Home button, have different results. 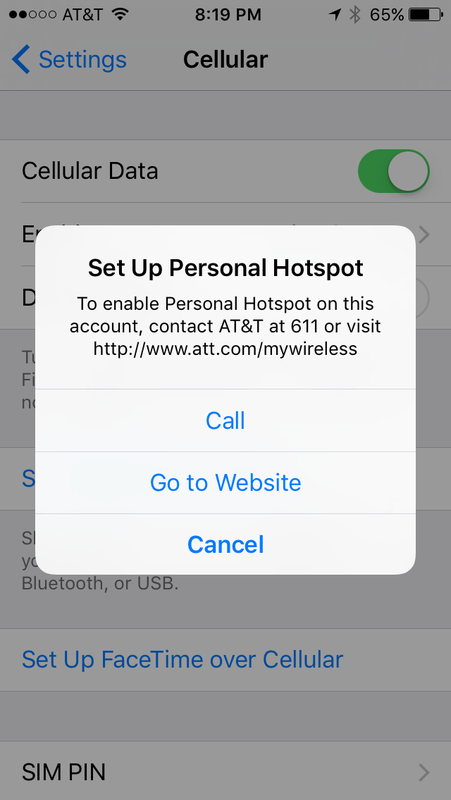 I had to call AT&T to activate the hotspot although it had been working fine under Android. And you can't change the SSID without renaming the phone. Something in the back and forth migration disabled my Google Voice voicemail. Almost certainly a one time issue. 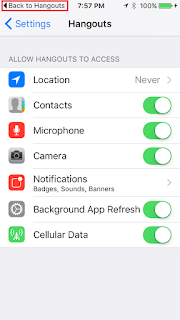 iMessage was turned on by default. There are stories about how difficult it is to migrate from iMessage back to native SMS. After weeks of discussions with Apple Care I'm still not receiving group MMS from some iMessage users. Also, you can't integrate Google Hangouts into iMessage so I had 2 different messaging apps. I hadn't realized how much I depended on Android's voice controls, Moto Voice and Ok Google. I had to turn off Ok Google detection on the OnePlus One but I still could dictate brief text messages using the microphone icon on the keyboard. And on the Moto X I could listen to and respond to text messages without even taking the phone out of its holster. None of this is available on the iPhone. The Motorola Connect app on the Moto X connects to a Chrome extension on a PC to giving me bi-directional connection to the Moto X's SMS. I din't realize how much I used that until it was gone. iMessage has this function on other Apple devices. Motorola withdrew Motorola Connect in November 2015. Obviously accessories for the iPhone are widely available. I've struggled with my niche Android phones to find holsters and charging docks. More mainstream Android phones likely wouldn't have that problem. I like carbon fiber on my smartphones going back to my Samsung Captivate. The iPhone 6 I bought was space gray so I added a nice carbon fiber skin. I loved the size of the iPhone 6 but with the differences in how iOS operated compared to Android I couldn't rationalize the $500 expenditure. Yahoo! News had this related article. As I discussed this journey with the president of our company he said "iPhone users just don't understand what they're missing." I'll leave that attributed to him. This is a continuation of iPhone 6 - Part 2. Again iTunes came up. The only alternative I came up with was a USB cable. Not as capable as I expected. Hangouts notification sounds - You can't setup a custom notification sound for Google Hangouts. Notifications for Hangouts didn't work at all (not even an icon badge) until I had the Hangouts app active when it received a message. Hangouts worked anywhere after that. Pocket Casts - You can't set a unilateral playback speed. Changing the "Up Next" sequence requires an extra step to "Edit" the list where in Android it's just tap and hold to move. It's very unusual for an Android app to have a more optimal user experience. Direct dial icons - You simply can't do it. This would be a homescreen widget in Android. There are some workaround apps that use Safari but they aren't very elegant. Swype - Swype caused the Gmail app to terminate when tapping the "Search" button on the Inbox screen. This worked fine using Apple keyboard. I'm sure that will be fixed. Also, Apple switches back to the Apple keyboard when entering passwords. Probably a good idea but a little disconcerting. Google Maps - When using Google Maps navigation with the origin being the current location, iOS doesn't seem to give Google Maps the current location. It seems to give Google Maps the location that you were at when you last used Google Maps. 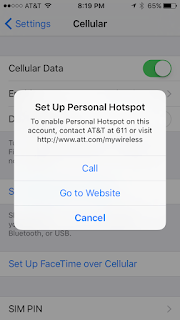 By default all devices on the same iTunes account ring when the iPhone rings. It took a little while to find that setting with some spousal consternation. 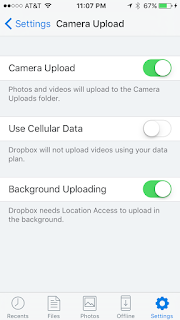 Google Photos - Google Photos doesn't upload photos until you launch the app. 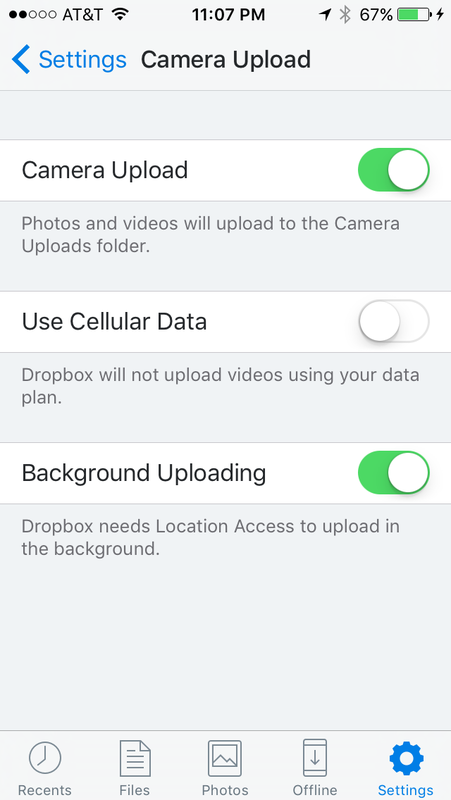 And if it starts uploading and you navigate to another app it stops after 5 minutes. Here's a "cool hack" to get around this. Pocket Casts - Pocket Casts doesn't begin downloading podcasts until the app is launched even when plugged in. Don't forget to launch it before you go to bed. On Android Pocket Casts pauses while Runkeeper announces its intervals. On iOS Pocket Casts just keeps playing. Gmail - My wife (using Gmail on iOS) has commented that she had received a notification of new mail but when she went to the Gmail app there was nothing new there. Then quickly she'd say "There it is." It seems that Gmail doesn't load new mail until the application is launched. There could be some other subtleties here but this is the general observation. 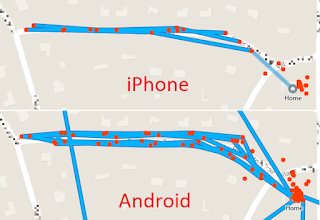 iOS seems to have (or at least shares) much lower granularity of location than Android. Here is a comparison of the same GPS sensitive app (Runkeeper) running on iOS and Android. Notice that there are many more GPS fixes under Android. Active apps don't have a notification tray icon. This makes it difficult to negotiate back to a running app. For example if you are listening to Pocket Casts and go to Gmail and then want to return to Pocket Casts, there is no notification icon for Pocket Casts. You have to either double tap the Home button and locate Pocket Casts in the task manager (unfriendly to me as is Android's) or you have to tap the Home button to go back to the home screen, locate the Pocket Casts icon and tap it. If you haven't run another app in the interim Pocket Casts has a lock screen "widget" that you can use to manage Pocket Casts. This issue is not specific to Pocket Casts but not all apps have the lock screen interface. Sending a text has a "whoosh" sound. If you're a "Good Wife" fan you'll remember that's how her son got in trouble. To eliminate the sent text notification tone "u can flip the switch on the side to vibrate and you wont hear anything." Really? On the Moto X you can eliminate camera shutter sound. The OnePlus wouldn't let you do that. On the iPhone "The only way to turn this off is to turn on the mute switch." See above. This is a continuation of iPhone 6 - Part 1. 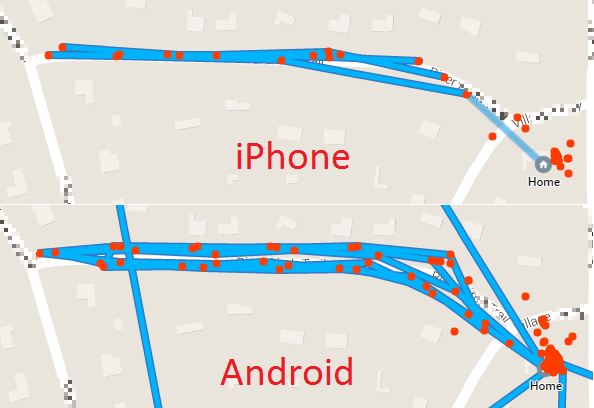 Here's the point by point comparison of my Androids and the iPhone 6. Android Lollipop has been through 5.0, 5.0.2, 5.1, and 5.1.1. The "cellular standby" bug doesn't look like it's going to be fixed in Lollipop and my Moto X isn't getting Marshmallow. The OnePlus One came with CyanogenMod which I originally thought was a plus. It shipped with CM 11S (4.4.4) and was upgraded to COS 12 (5.0) and COS 12.1 (5.1.1) and has gotten no updates since then (i.e. Stagefright). 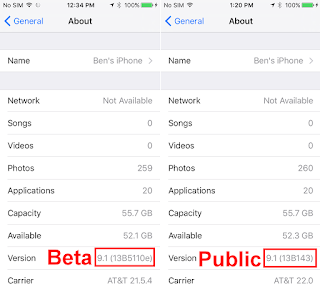 iOS 9 has had its share of updates as well with 9.0, 9.0.1, 9.0.2, and 9.1. 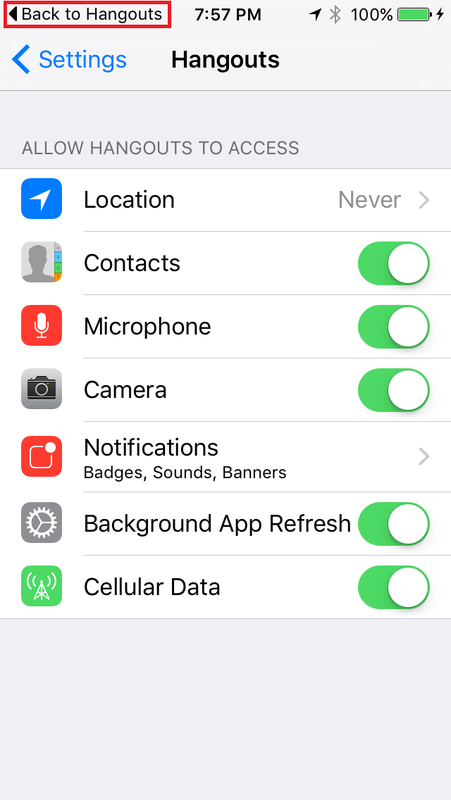 Incidentally my gazelle iPhone came with a beta release of iOS 9.1 which caused me problems with Location Services. The Moto X struggles with battery life as a result of the Lollipop "cellular standby" bug. The OnePlus One didn't have the over the top battery life I had expected. Surprisingly the iPhone 6 battery life wasn't as good as my wife's iPhone 5S. Here's my spreadsheet with battery usage. As I was using Google apps I was worried about the limitations of iOS of setting alternate default apps, e.g. Safari. What I discovered was that while you're within the Google ecosystem Google can handle directing you to the desired Google app. 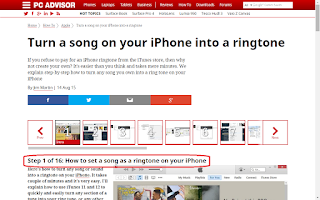 There are dozens of ways to get ringtones over to an Android phone. 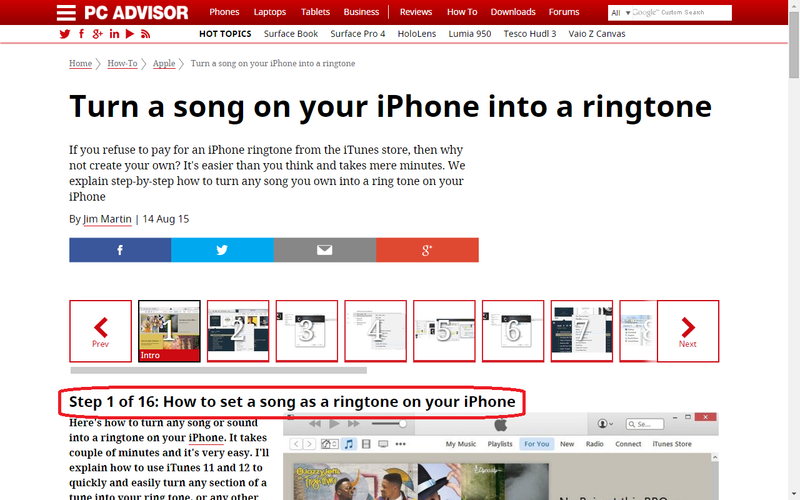 When I searched for how to do that on the iPhone I came across this article. Lastly, while I don’t really recommend iTunes if you can avoid it since it has turned into a bloated pig... I don;t find I have to use iTunes for anything. I used iTunes and moved my ringtones to the iPhone. tl;dr I sent it back. 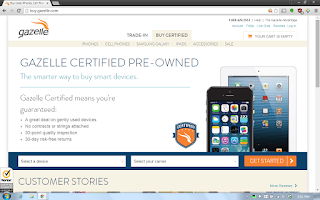 After my OnePlus One experience, I was ready to look at an iPhone. There were 3 major drivers; stability, size and battery life. The OnePlus One was FLAKY and the 2013 Moto X has suffered through Lollipop 5.0 and 5.1. And Motorola has promised NOT to put Marshmallow on it. I expected (and found) that iOS was very stable. The OnePlus One was also BIG. The iPhone 6 was enough bigger than the Moto X but not so big as the OnePlus One. I had expected better battery life from the OnePlus One but didn't experience that. So I jumped and ordered a 64GB iPhone 6 from gazelle. Their selection was good as was their price and given that I was trying an iPhone I wanted a generous return policy. The iPhone 6 is the perfect size for me. And it's so thin. Camera sensor size 1/2.6" 1/3"
Next I'll do a point by point comparison of my Androids and the iPhone 6.